1. Follow the Host (Magical Mouse Schoolhouse) and the Guest Host (Mandas Disney Blog) on GFC, Networked Blogs, Twitter or Facebook. (We will follow back!) Leave a comment below to let us know. 2. 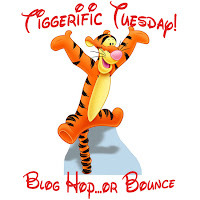 Follow as many people as you can and be sure to let them know that you are from "Tiggerific Tuesday! Blog Hop...or Bounce." 3. You are not required to, but we'd greatly appreciate it if you could grab our button and write a post about this hop and/or display the button on your sidebar. Hops are only fun if bloggers know about them, so please help spread the word! 4. Every week I will pick someone to Guest Host the hop with me. If you would like to be considered for the Guest Host position, leave a comment under this post to let me know you're interested and follow us on GFC. Following from the hop. Nice to meet you! Hi!! This is my first time participating in the hop... looks like fun and I'm following you now on GFC! 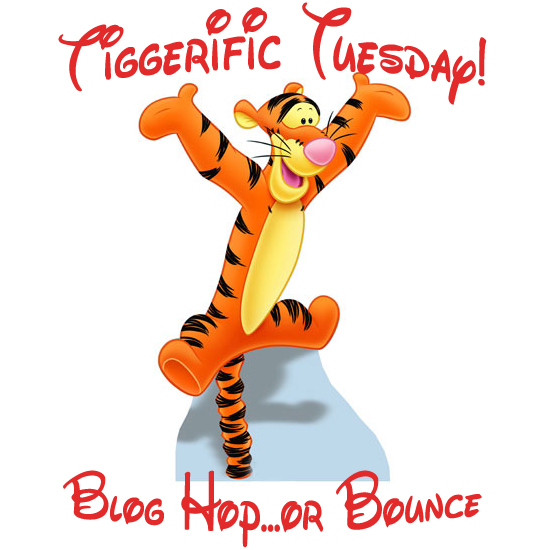 Found you through the Tiggerific Tuesday blog hop or bounce!! Congrats on the guest host spot. Following you now, have a great week! Hello! Congrats on being the guest host. I am now following you via GFC. I love your background..it so reminds me of my childhood and watching The Wonderful World of Disney every Saturday night:-) Have a great week! Followed you over from the blog hop! Thanks for hosting! hi, im your new follower. Hi Manda, Congratulations on being the guest host this week. Always love visiting your blog. Chicken Salad, Marathon Dog, and I'm a Winner - or is that Wine-r? new follower from today's blog hop! can't wait to read more of your disney stuff!! :-) our adr day is wednesday! can't wait!! I already follow you both :) Have a great Tiggeriffic Tuesday! Who doesn't love Disney? I mean, we have most of the classic children's cartoons and our kiddos loved them when they were small. I miss watching them. Hi, I'm a new follower. Love your blog (and anything else that might pertain to WDW!). Stop by for a visit if you get a chance. Following along from the hop. You've got a great site! Looking forward to getting to know you. Thank you so much for all your kind comments guys! So glad to co-host this hop! It's been a blast! Sorry I didn't pop in yesterday, but thank you so much for Guest hosting!